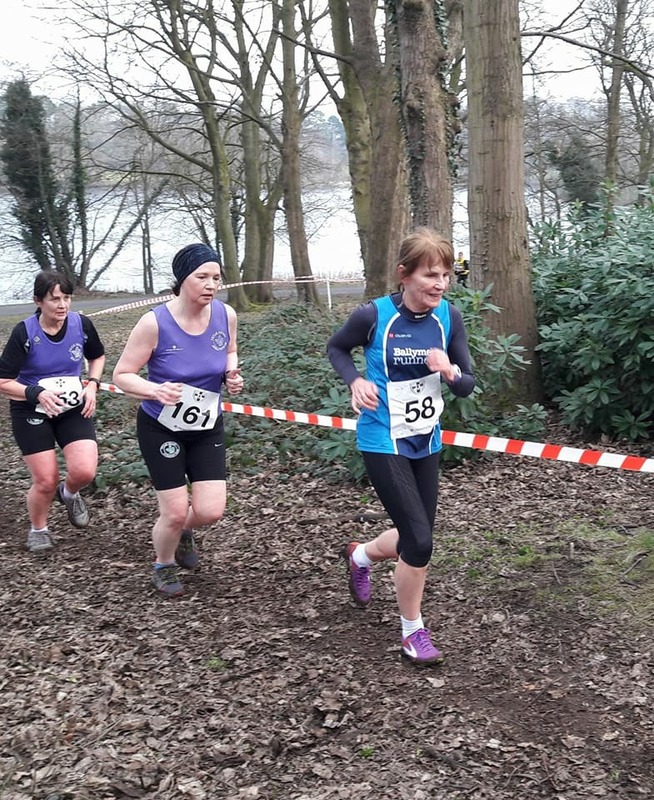 The final event in the eight race Northern Ireland Cross Country League took place in the pleasant setting of Lurgan Park on Saturday afternoon. Double club points were awarded for both performance and participation in the event which also included the Northern Ireland Club Championships. Ballymena Runners fielded teams in both Ladies and Men's Championships. In the Ladies event, over three laps of the park, Kerry Bamber (13th) and Gillian Wasson (14th) battled together right to the finish. Backed up by Geraldine Quigley (34th) and Sinead Scullion (83rd) the ladies came a creditable 8th team. Well done ladies and big well done also to Brigid Quinn (144th) who competed against some competitors over 50 years her junior! In the Men's 12k event Ballymena Runners had the minimum 6 runners, led home by Noel Connor(55th) followed closely by John Robinson (71st), John Hasson (75th), Seamus Kelly(78th). Nigel Davidson (176th) and Alastair Donaghy (177th) closed in the scoring team to 16th place. Thanks also to the support crew who encouraged our runners at this the last xcountry event of the season before the road races start-up in March. 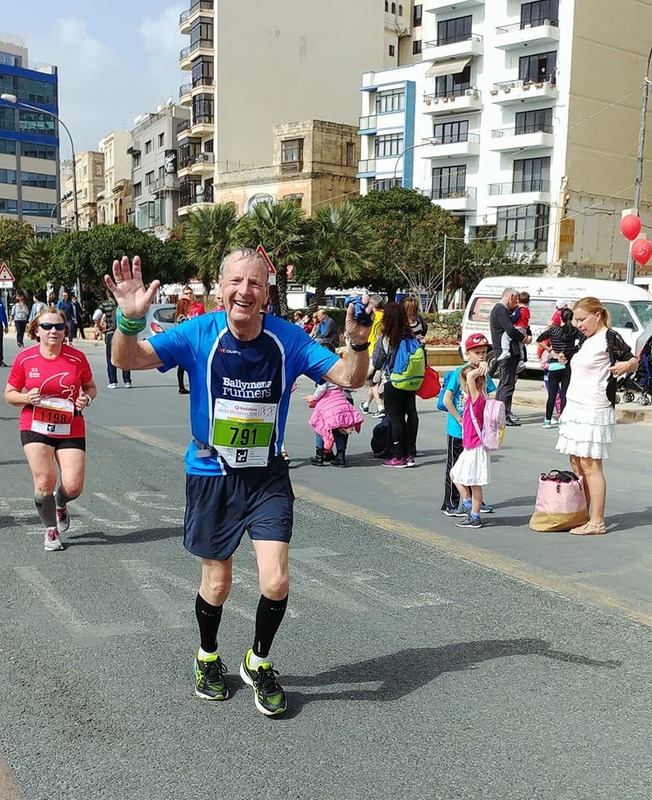 Billy Bamber jetted off to sunnier climes this weekend to compete in the Malta Marathon, crossing the line after 4 hours 8 minutes. Well done Billy! The Born2Run Run Forest Run 2017/18 series concluded on Saturday morning with the eighth race in Castlewellan Forest Park. Starting and finishing in the shadow of the majestic lakeside castle, runners enjoyed fantastic views of the Mournes as they competed in either the 10k or 5k races. Representing the club in the 10k were Lindsay Cunningham (1:11:35) and Kathryn Grant (53:05) while, in the associated 5k, Kevin Duffy (38:43), Judith Irwin (38:43) and Lisa Kirkwood (33:22) donned club colours.